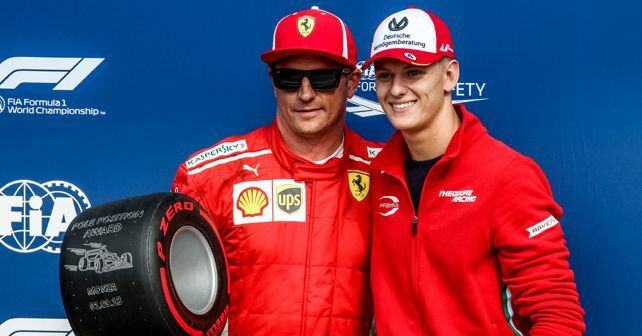 Reports suggest that the son of seven-time F1 World Champion Michael Schumacher will make his debut F1 test run for Ferrari, followed by Alfa Romeo. 20-year-old Mick Schumacher seems to be gearing up for a very busy week ahead of him, as the following weekend will mark the beginning of the opening round of the 2019 Formula 2 season, in which the young German is slated to make his debut. While this also coincides with the F1 Sakhir Grand Prix, it's the days following the race weekend in which we're interested. Rumours suggest that Schumacher Junior will also make his F1 debut (in the young driver's test) at Sakhir with Ferrari and Alfa Romeo Sauber. This doesn't come as much of a surprise though, as Mick is already a part of the Ferrari Young Driver Programme and Alfa Romeo Sauber is known for being Ferrari's 'B-team'. While Ferrari is yet to make an official statement about Mick's participation in the Sakhir test, reports suggest that Mick's drive with Ferrari is scheduled for 2nd April. He'll spend the Monday following the race day prepping with Ferrari for his run in the SF90, and once that's done, he is set to make his run with Alfa Romeo Sauber on 3rd April. Mick Schumacher rose to fame in 2018 when he secured the F3 championship title while racing for the Mercedes-powered Prema Powerteam. He secured eight wins from a total of 12 races and scored an invincible 347 points in the entire season. While this gave him a direct entry-point to F1, the logical step for him was to make a move to the next tier of racing, the F2 championship. He'll continue with Prema Racing for his F2 debut as well.